 BPM College – the leading institute in Israel for music production is expanding its activities worldwide & is expected to launch the “bpm-online” by the end of 2017. “BPM Online” uses unique methods of teaching combined with the latest technology to develop a cutting edge multilingual online training program for DJs & producers from all over the world. Our main goal is to give every student, regardless of location, the opportunity to acquire extensive knowledge and experience in the field of music production. Our first goal is to access fast growing markets in the education for electronic music scene such as US, India & South America. Our product presents recorded demonstrations, screen captures, interactive assignments & quizzes, a glossary for technical terms, unique branded sample libraries, artist signature presets & free bonus material of the artist. The target audience is musicians & producers of all levels of knowledge from all over the world with the ability to connect online. The BPM Master Series is a new online platform for interactive courses taught by some of the world’s greatest electronic producers and DJs. The program offers a forward-thinking approach to all aspects of the production process, and includes several multi-genre tuils that use the latest technology of online studying (e-Learning). The program is designed for electronic music producers with a background in basic sound design and practical experience with a DAW. Each tutorial hosted by a different electronic musician. The project’s curriculum is based on asynchronous learning (i.e the student’s own time) and integrates theoretical articles, photographs, interactive video clips, quizzes, professional glossaries and much more. The tutorials will be available in English, but can be translated to any number of languages. They may be watched and used online via high-speed Internet connection (5 MB or more) or downloaded to a tablet or smartphone (iOS or Android).